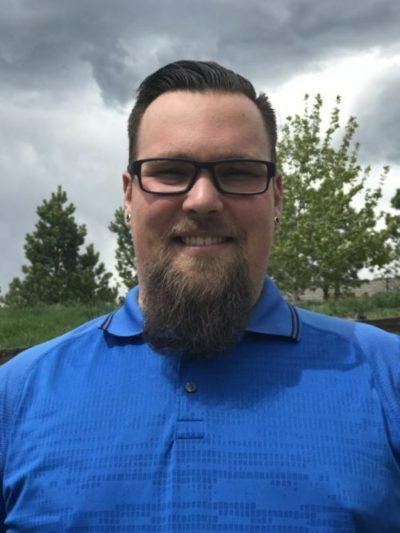 May 29, 2017 – Colorado Springs, Colorado – The Database Enhancement Gateway (DEG) announces Danny Gredinberg as the new administrator of the free online resource developed to address inquiries to information providers (IPs) about collision repair estimating data. With nearly sixteen years of collision repair experience as a certified technician, estimator and senior technical repair advisor, Gredinberg brings a wealth of experience and insight to the position, providing a fresh perspective for the DEG. As an experienced user of the DEG in his prior roles, Gredinberg saw great benefit from submitting inquiries through the website on errors, inaccuracies or omissions found in the estimating data content. As an end-user, he found the site to be an effect mechanism to make positive changes through feedback and interaction with the IPs. “It’s an exciting time to be in the collision repair industry,” shared Gredinberg. “The advancement of vehicle technology is evolving and changing quickly; from vehicle construction, advance driver assist systems, repair methods, tooling and training. We sometimes forget how challenging it can be to capture those dynamic changes to the vehicles in order to get the information out to the people working on the cars. The information providers rely heavily on the OEM’s for information, but there is a tremendous resource in having regular feedback from technicians and collision repair businesses who have the vehicle in front of them, and can communicate areas where the data may not align with the vehicle reality. Danny Gredinberg will assume control of inquiries starting on May 29th, and will work closely with end-users on resolving both existing and new submissions. For more information about the DEG or if you have an inquiry regarding estimating data, please visit www.degweb.org. About the Database Enhancement Gateway (DEG): The DEG is an initiative designed to help improve the information in collision repair estimates through proactive feedback about vehicle-specific errors, omissions and inaccuracies in the database and labor times. With support and funding from the Alliance of Automotive Service Providers (AASP), Society of Collision Repairs (SCRS) and other industry organizations, the DEG can provide its services free of charge to the industry. For more information on the DEG please visit www.degweb.org or email admin@degweb.org.